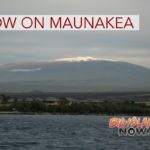 Hawai‘i Island Police are investigating the drowning of a 62-year-old woman and 61-year-old man after they were swept down the Wailuku River near Rainbow Falls State Park. At 12:39 p.m., Saturday, Nov. 25, 2017, police and fire personnel responded to the state park for a report of a couple who fell into the water while crossing the river above the falls. 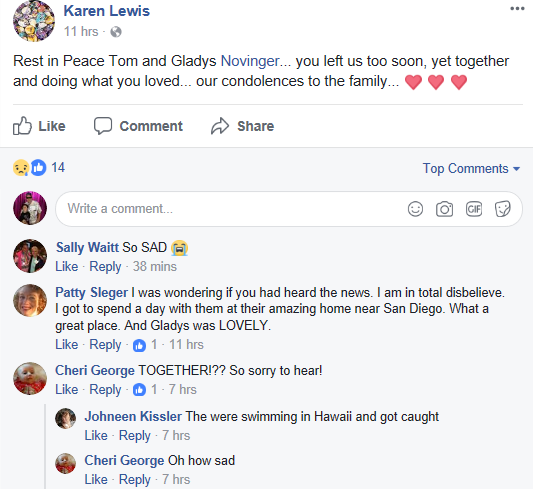 The woman was officially identified as Gladys Novinger earlier today. Friends and family of Novinger have identified the male victim as George (Tom) Novinger. However, the Hawaiʻi Fire Department has not officially released the name of the male victim. The department will renew the search for his body tomorrow morning. According to Vineyard Hacienda’s business website, Novinger was a recently retired diplomat for the U.S. State Department’s Foreign Service.